This painting is a study, for a dear friend, of her cat Saffy. A precious member of her family. I found him to be a delightful character and a pleasure to paint, in fact I grew quite attached to him ! I am happy with the final result which was helped greatly by the provision of high resolution photographs, essential for detail and a good likeness. 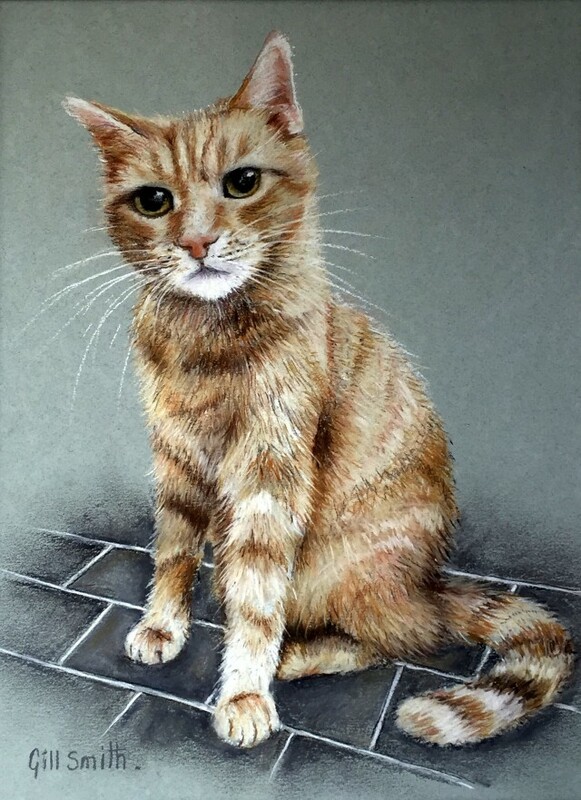 It was created on Canson Mi Teintes pastel paper and a combination of artist quality soft pastels and pastel pencils using some 15 colours and shades. Commissions available in similar style – please contact me for more information.